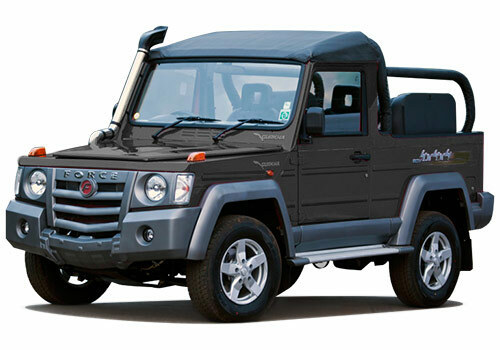 Couple of weeks back it was reported that domestic car maker Force Motors will be starting deliveries of its highly awaited Gurkha off roader by the end of June this year, but now company’s authentic sources have confirmed that the sales of Gurkha will officially begun from September 2014. The vehicle will be readily available for delivery instantly along with its booking and will be available for test drives to its prospective buyers. Gurkha is empowered with 2.6 litre Mercedes OM 616 turbo charged intercooled engine coated with 5 speed synchromesh transmission and 4WD with Hi – Lo option. An interesting feature offered in Gurkha is ECU senses which retains the fuel efficiency of vehicle while driving on terrains. Another interesting feature offered in Gurkha is separate locks for front and rear axles. Apart from this the vehicle is also blessed with Snorkel with chrome garnish which makes flow of air smoothly to engine. According to Mr. Prasan Firodia, Managing Director, company has developed the Force depending upon the feedback of industry experts and customers who had driven the vehicle, thus making the Gurkha an excellent vehicle in its segment. Company will offer Gurkha with warranty of 3 years or 3,00,000 kms whichever is earlier and will be offered in three passionate colors including Copper Red, Matte Black and Dragon Green and would be offered in two variants hard top and soft top. 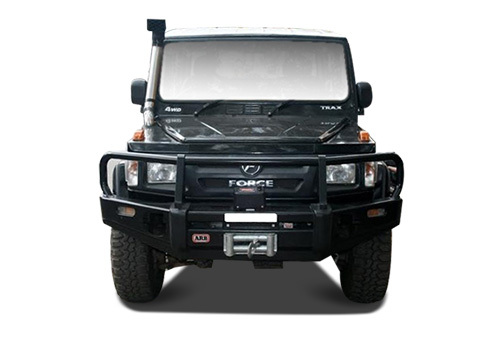 Click here to know about the features offered in Force Gurkha.